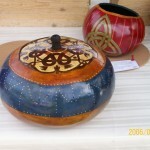 These are containers with lids. 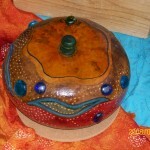 They can be used for storage, or jewelry boxes. 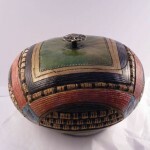 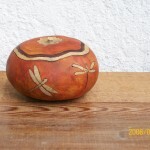 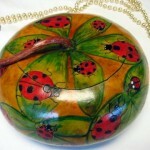 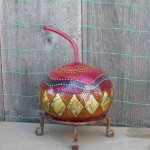 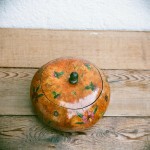 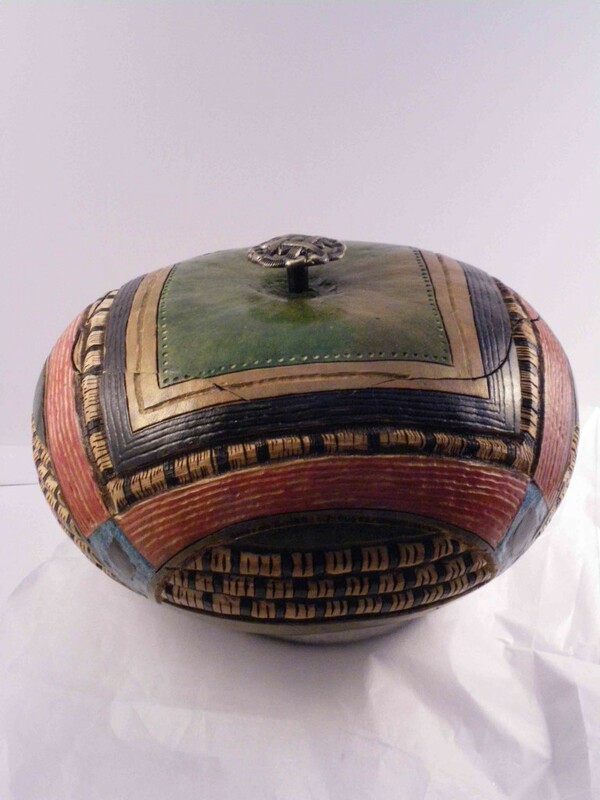 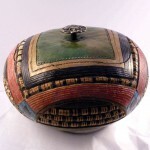 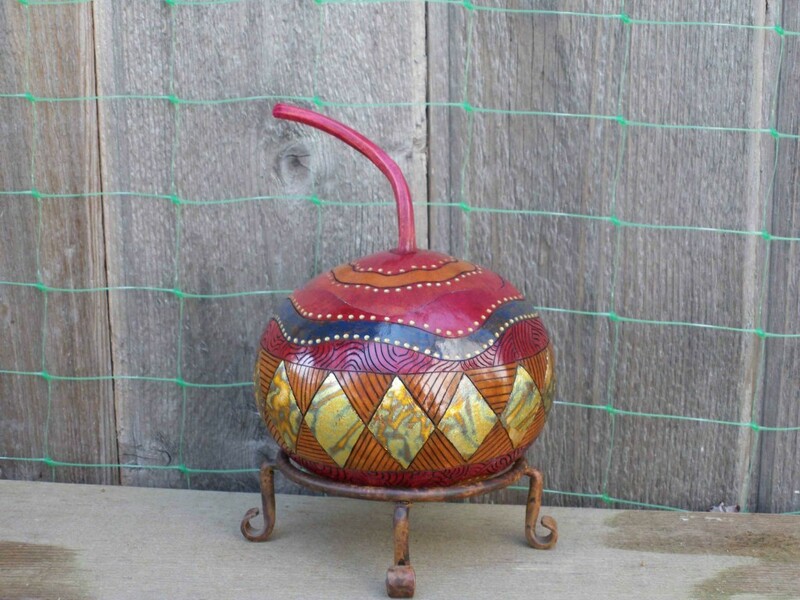 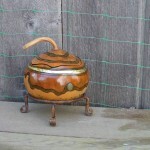 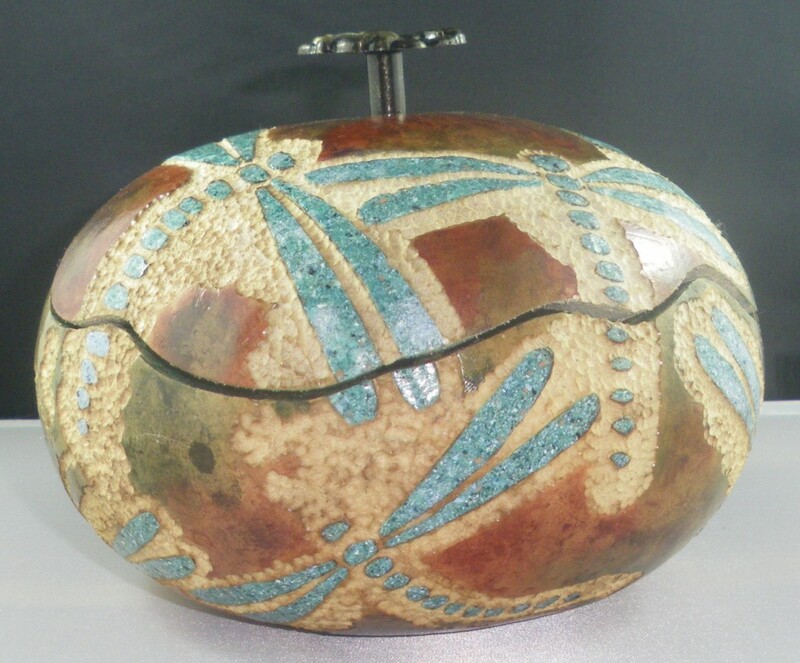 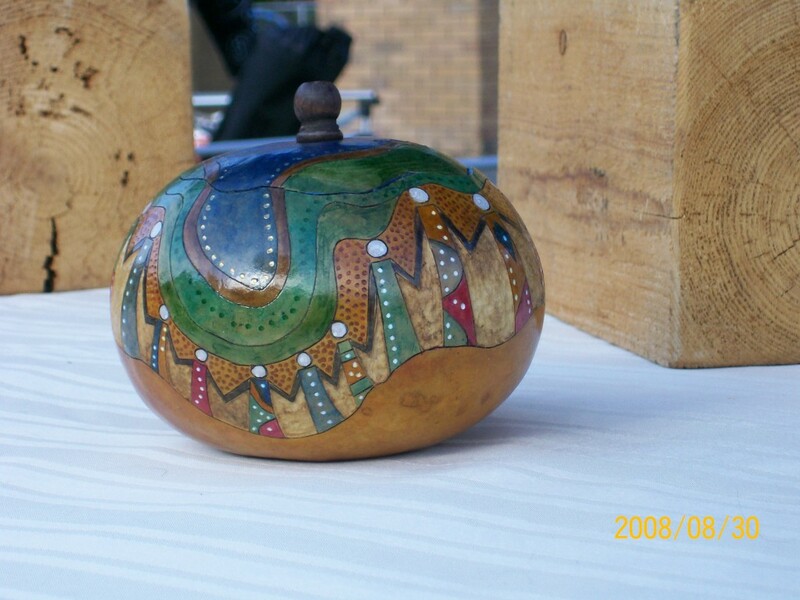 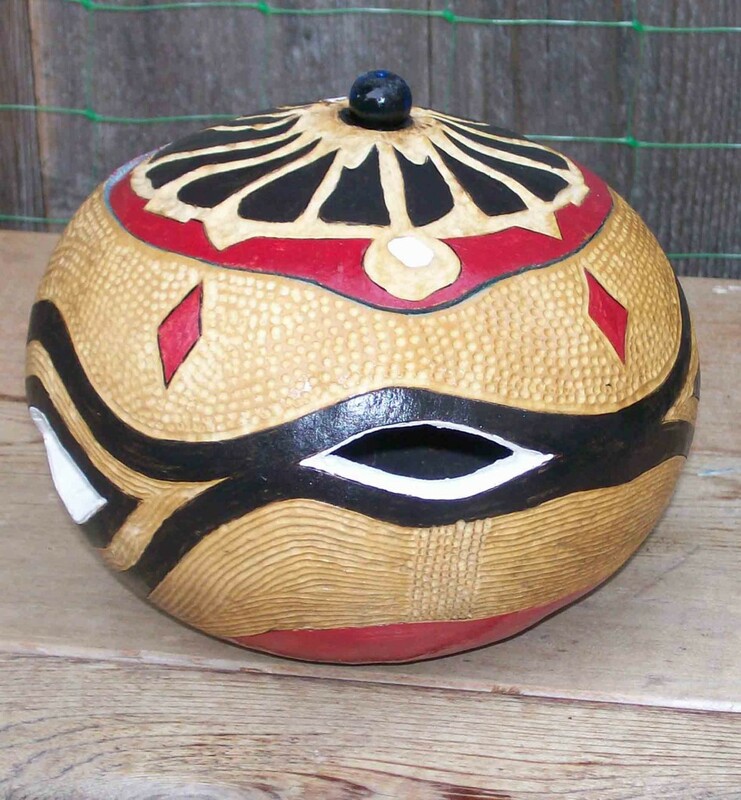 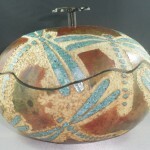 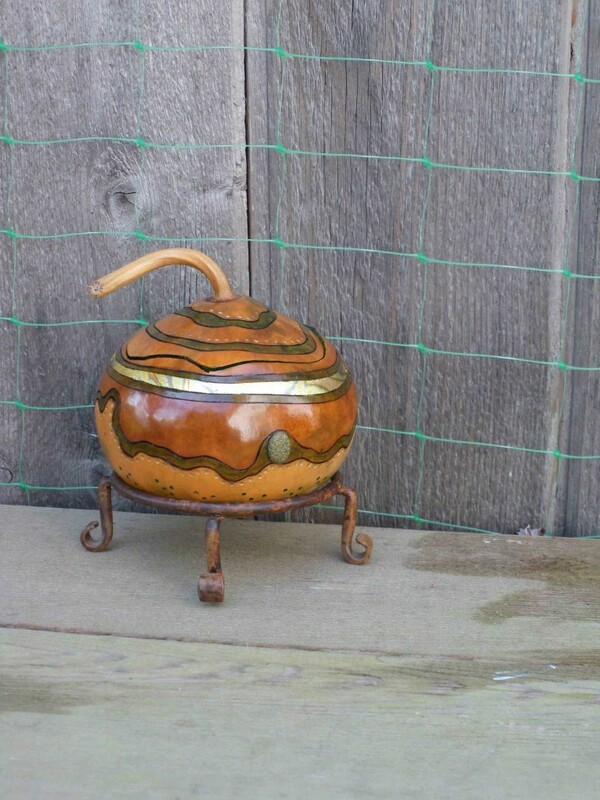 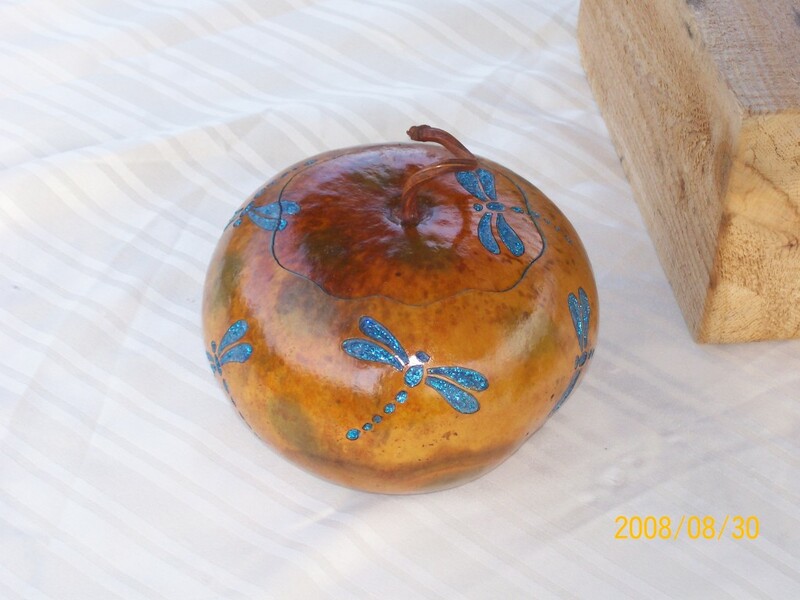 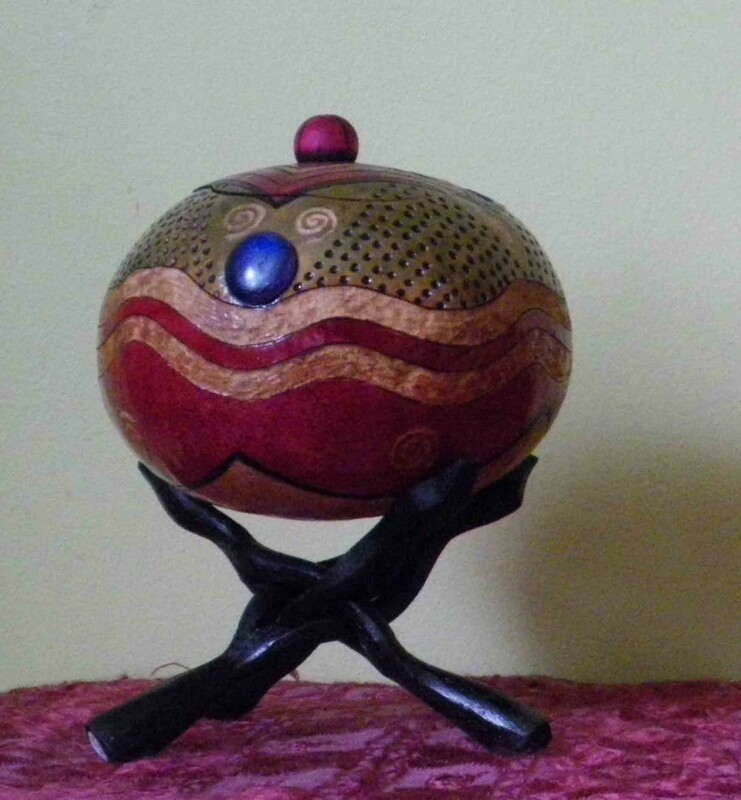 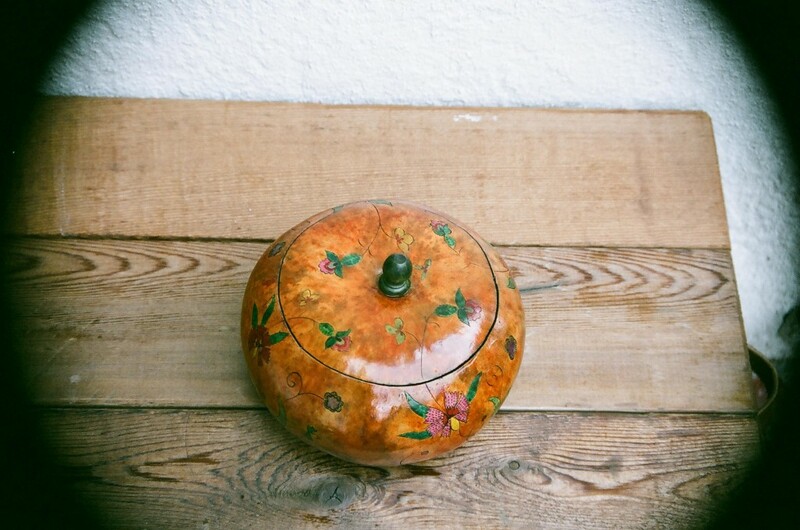 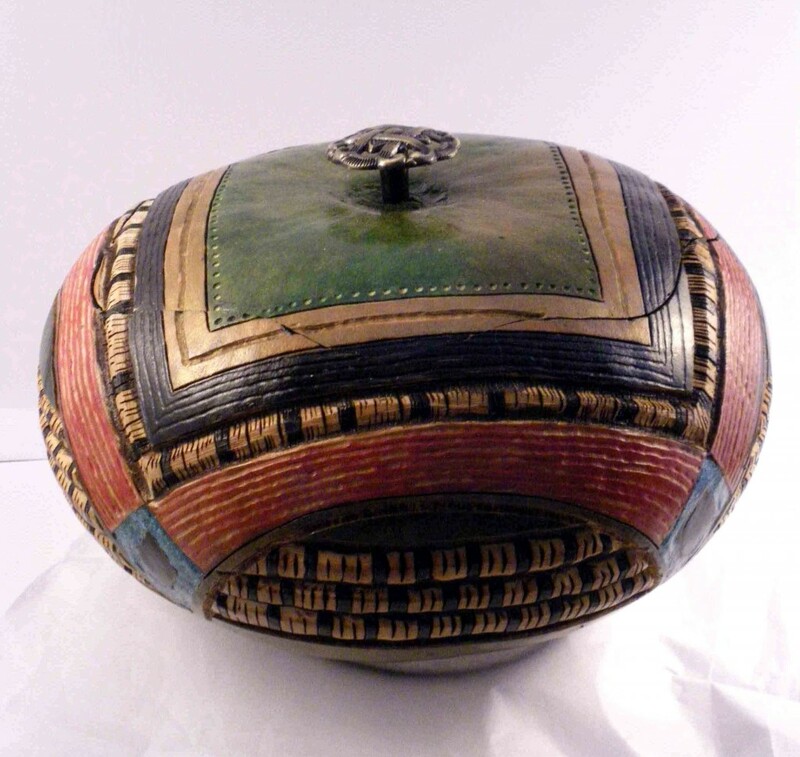 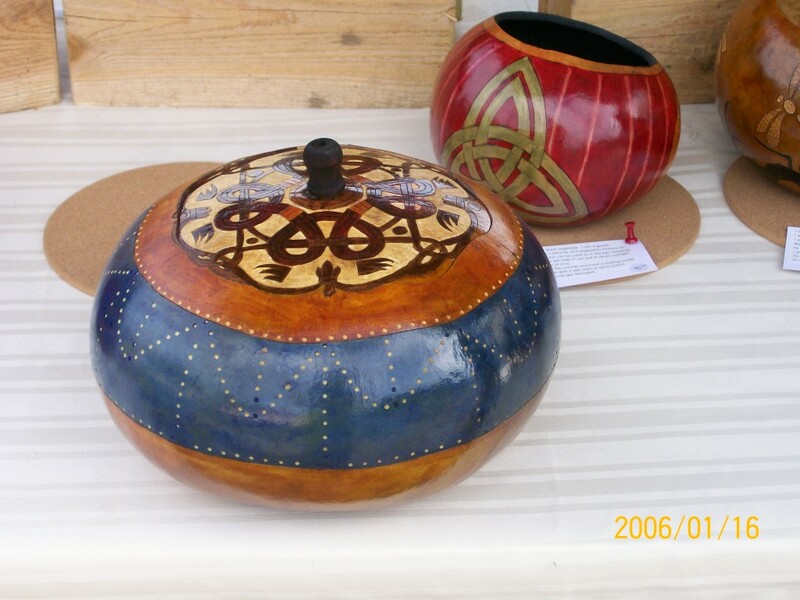 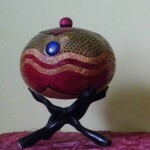 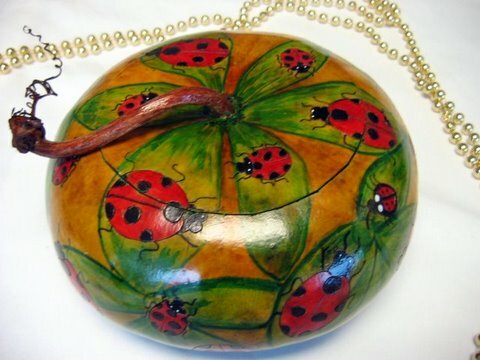 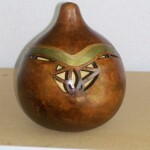 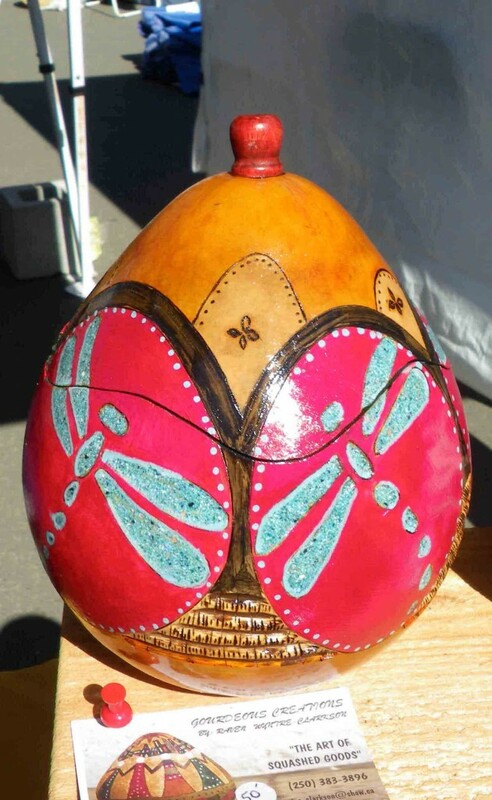 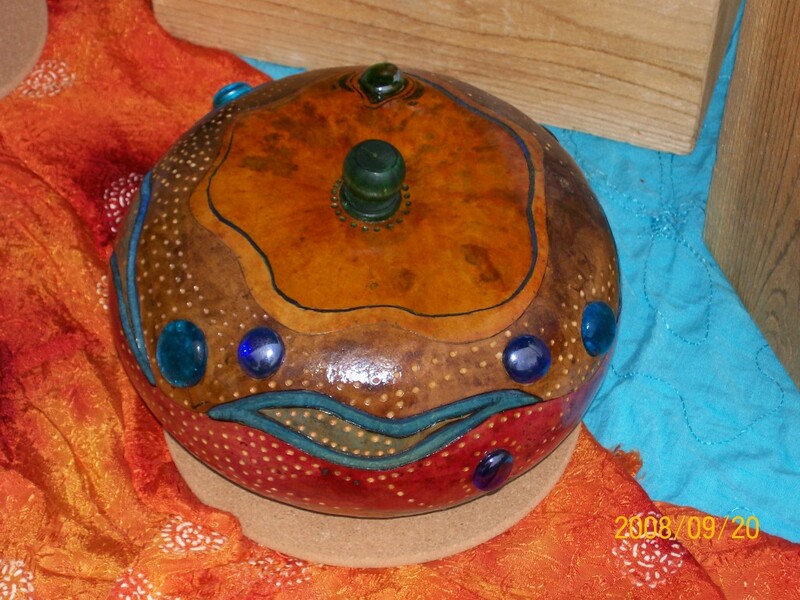 I enjoy making lidded bowls, as I can wrap the design all over the gourd and still keep the original gourd shape. 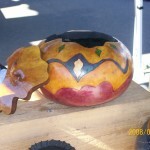 It can take hours and up to several days to complete a piece. 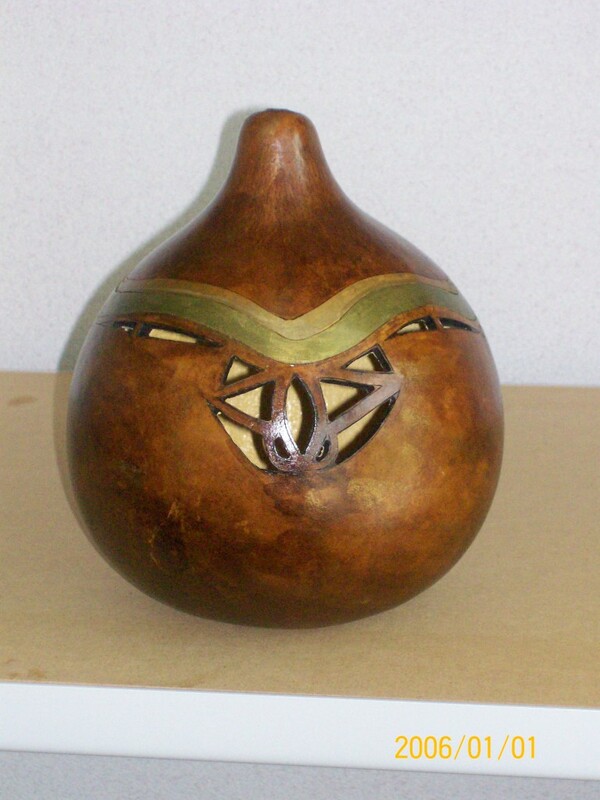 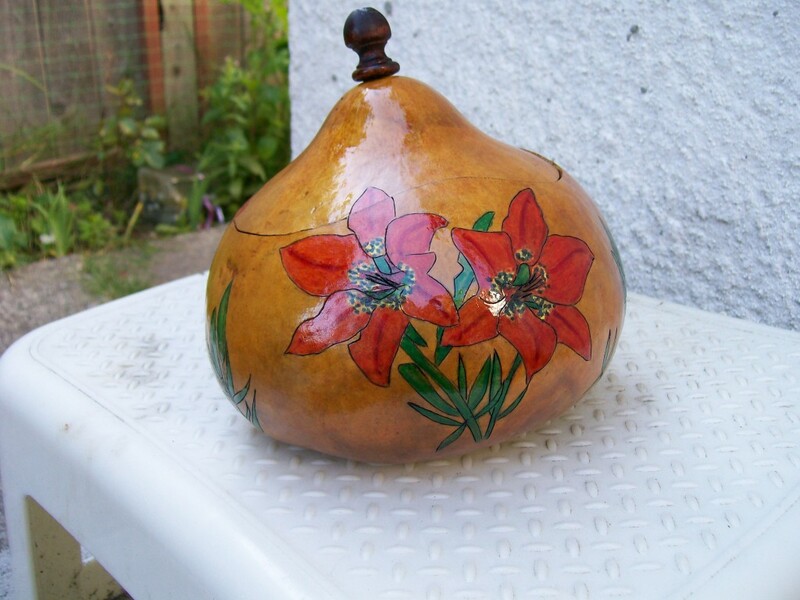 In most cases, the interior of the gourds must be cleaned and sanded first as the gourds have dried with their seeds inside. 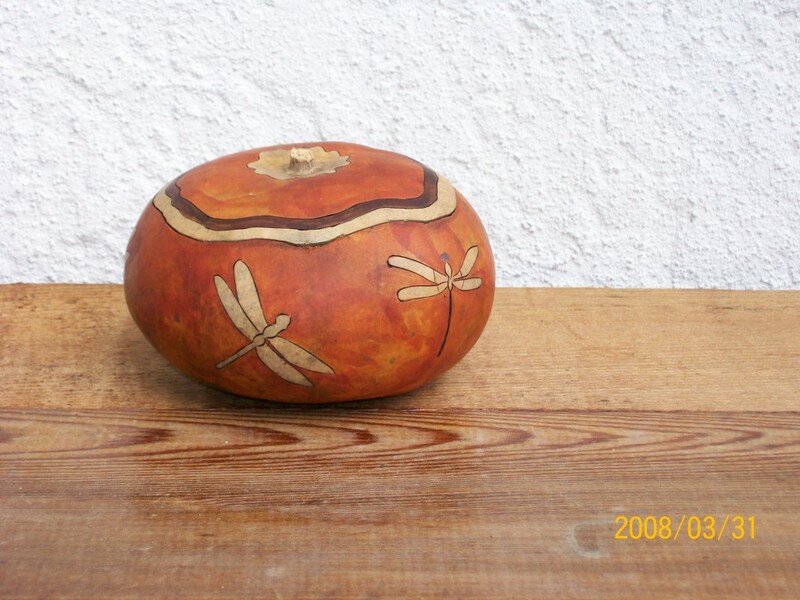 This process can take a couple of hours depending on the size and shape of the gourd. 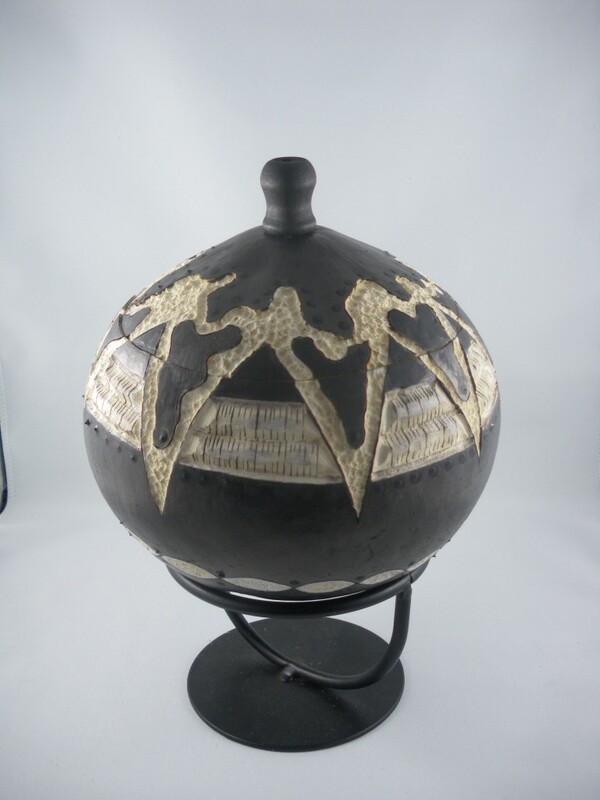 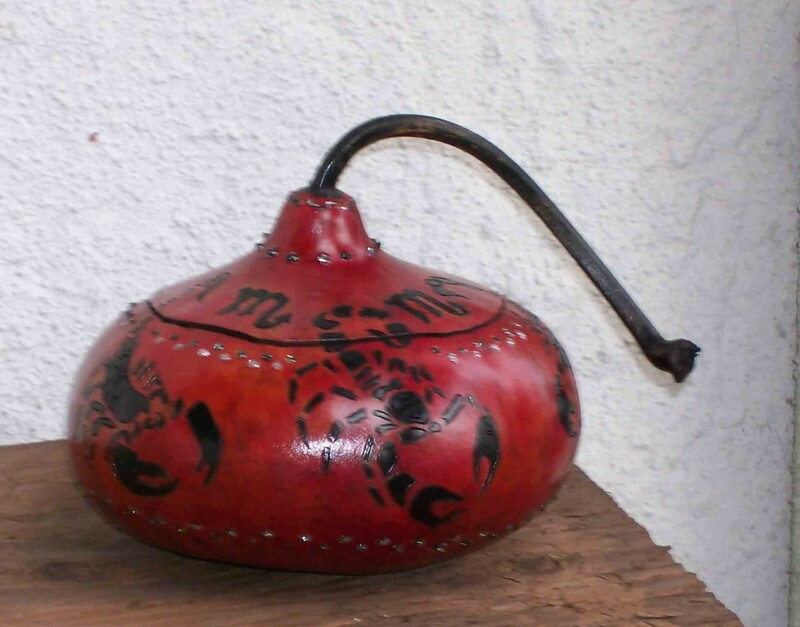 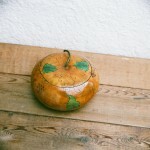 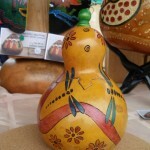 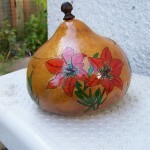 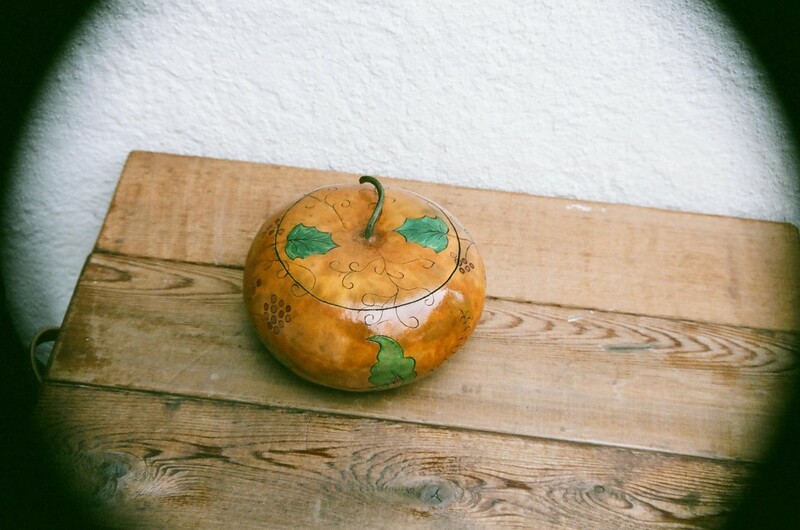 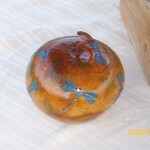 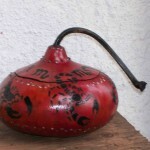 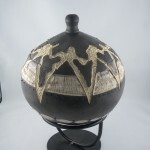 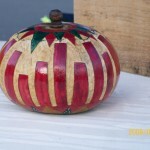 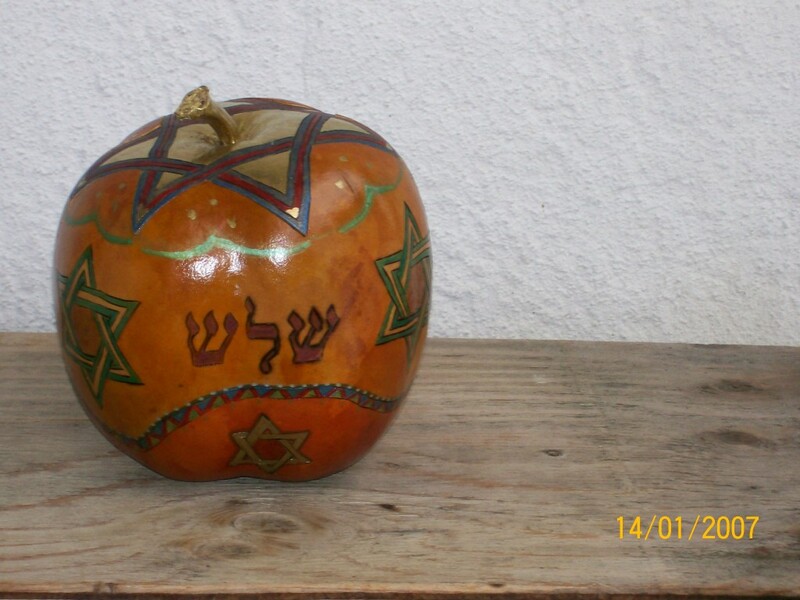 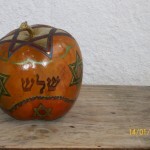 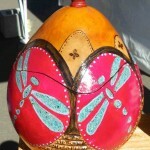 The design is then pyro engraved onto the surface of the gourd. 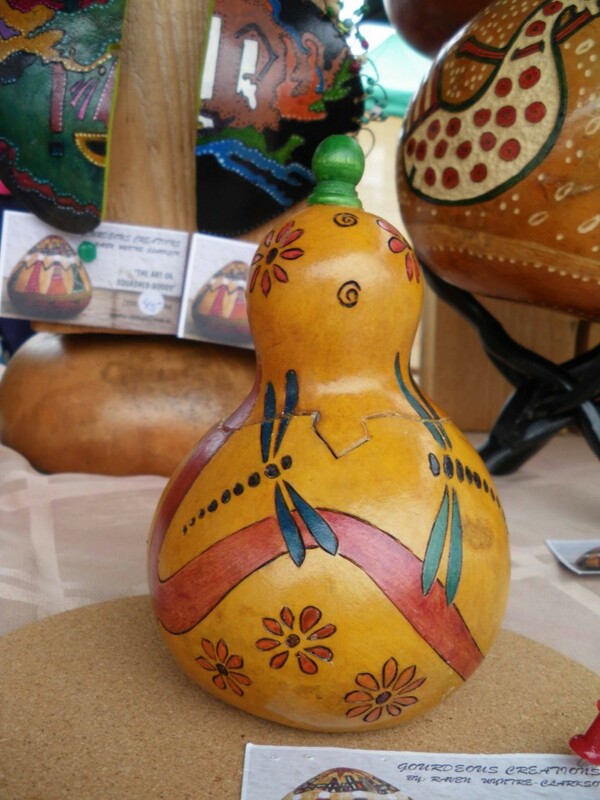 The design is usually hand drawn but I have on occasion used tracing carbon if I wish the same design on different sections of the gourd. 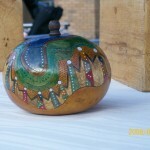 Painting and carving take place at this stage. 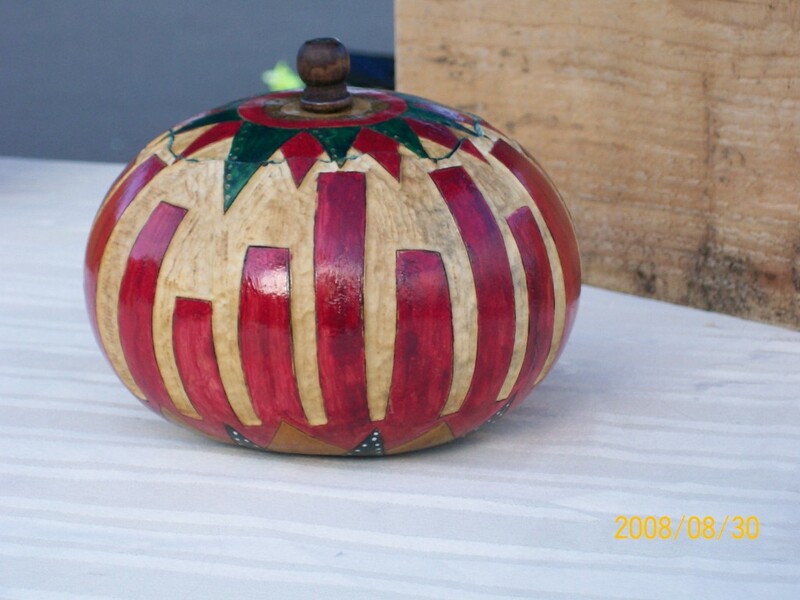 Again depending on the details in the pattern, this process can take approximately in total 1- 2 days. 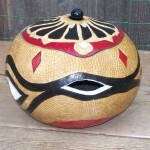 However, I do not work on one piece for hours on end as I find that I get tired and my thought processes start to wane! 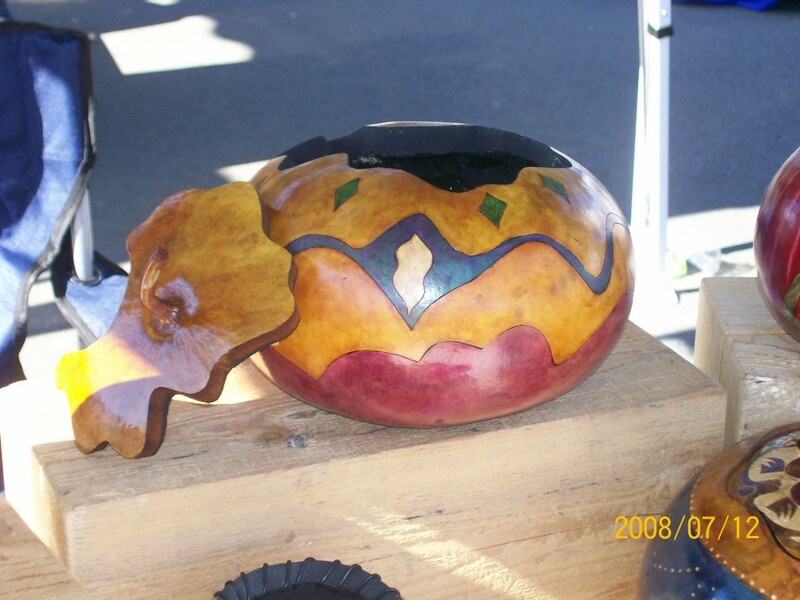 Most of my work utilizes some form of carving as I really enjoy using a rotary carver as part of the design on the gourd.